Did a 1965 TV Show Foretell Peak Oil? Was it just a writer's fantasy? FTW takes a fun peek into a time when TV shows actually had plots. 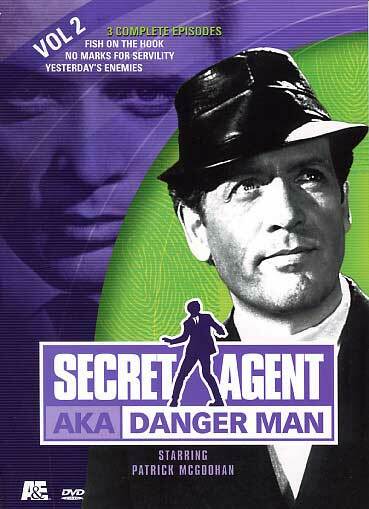 April 20, 2003, 2100 PDT (FTW) пїЅ In the episode "Yesterday's Enemies" of the TV spy thriller Secret Agent (Danger Man) starring Patrick McGoohan, is incredible dialogue regarding the end of the age of oil. The words could have been penned by Michael Ruppert himself...except that this show first aired in the U.S. on 15 May 1965! The writer was Donald Johnson, the director was Charles Crichton. I wonder if they are still around? It would be fascinating to know how they came about that piece of data. Here is the movie clip in QuickTime format (best!) or an audio only MP3. © ITC Incorporated Television Company Ltd. 1964-1965. Also check out the fantastic TV series, "The Prisoner", also starring McGoohan.